Save the towns folk of Spookville. In the small, dark and eerie town of Spookville, the people are being terrorised by the dead residents of 17 Chester Street. 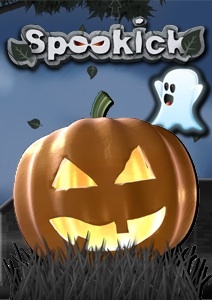 Only you can save them from the hell of haunting this Halloween by keeping the ghosts amused with the one thing they love the most - a good game of pumpkin passing.